Kidman's range -- which includes comedy, action, and serious drama -- is as striking as her fiery red hair. The Gone with the Wind star made fewer than two dozen movies, but the combination of icy beauty and inner fire made her unforgettable. She could have coasted on her platinum-blonde looks, but Lombard showed she had sublime comic timing in My Man Godfrey. An Italian bombshell with talent as generous as her curves, Loren could be sultry, funny, and heartbreaking. Witty and urbane, Loy excelled in The Thin Man series of movies, playing the brainier half of society sleuths Nick and Nora. An energetic redhead with a saucy smile, MacLaine made hooking seem wholesome in Irma La Douce and Sweet Charity. Gentlemen Prefer Blondes, The Seven Year Itch, and Some Like it Hot showcased the buxom, blue-eyed blonde's comic gifts. From The Quiet Man to Miracle on 34th Street, O'Hara brought a dash of color to every movie she made. 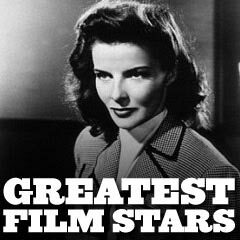 Wholesomely pretty, 'America's Sweetheart' was the first real movie star and co-founded the Academy of Motion Picture Arts and Sciences. Portman gives her all to every role, from a 12-year-old assassin (The Professional) to a ballerina losing her grip on reality (Black Swan).